Rare Copy of Tractate Sanhedrin of the Babylonian Talmud Printed in Constantinople, 1583. 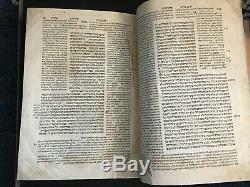 First Edition of the Talmud Including the Maharshal's Corrections. This Constantinople edition of the Talmud was published in sections, distributed to subscribers on Shabbat in the synagogue, a common practice at that time in Constantinople, as the printer R.
Complete copies of this edition are very rare. This copy is lacking leaves 1-49, 52, 70-72, 81-88, and the last leaf. Extensive worming affecting text, repaired. Large tears to several leaves, affecting text. Knowledgeable collectors will appreciate it despite its condition. The item "Rare Antique Jewish Book Talmud 1583 Constantinople Tractate Sanhedrin" is in sale since Thursday, March 28, 2019. 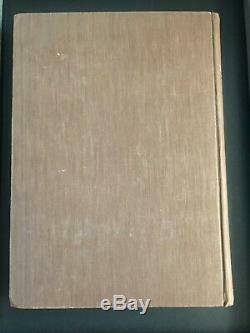 This item is in the category "Collectibles\Religion & Spirituality\Judaism\Books". The seller is "ravbjk2011" and is located in Deerfield, Illinois. This item can be shipped to United States.